Duramax offers an extensive choice of stuffing boxes to accommodate shaft sizes and requirements. Robust construction, designed for optimum performance and easy maintenance. Could last the life of your vessel. 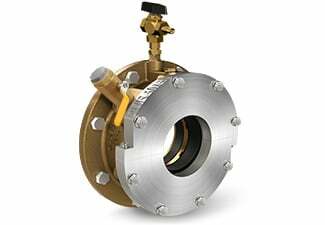 Service options available: Air Seal, water service, grease service and lantern ring with "zerk" fitting, or a combination of the three service options. For shaft sizes as small as 2.5 inches up to a maximum of 36 inches. 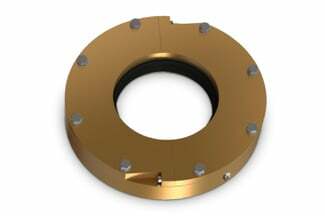 The seal is a water-lubricated axial shaft seal system constructed of the highest quality materials which have been engineered to deliver long service life. DryMax is a robust and reliable hydrodynamic rudder seal system constructed of the highest quality materials designed to deliver long service life. Forward Stern Tube Stuffing Boxes. Step by step instructions on how to replace the Air Seal on Johnson Air Seal Stuffing Boxes. 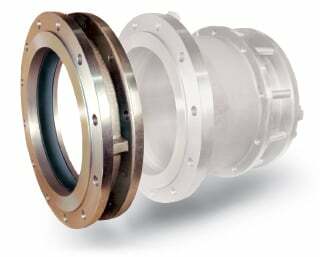 The Dutchman housing can be custom-built and added to any solid or split design stuffing box. Allows you to change packing or maintain a stuffing box at sea. Bulkhead & Rudder Stuffing Boxes. Model 102LB: with packing, lantern-ring and grease fitting, with1/3-length standard rubber sleeve bearing.